When I saw this trailer for the movie, I thought it was going to be a cute kids movie. Matt Damon plays the father of 2 kids. The youngest daughter is the cutest child ever. His older son, though, is still feeling the effects of his mother’s passing. He’s 14 and also in the midst of inner teen changes. He and his father clash often. 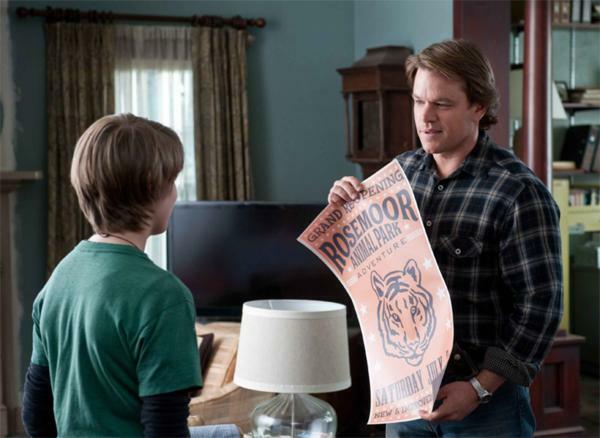 His father decides the family needs a change of scenery and finds this house with a broken down zoo attached to it. Scarlett Johansson plays the zookeeper. 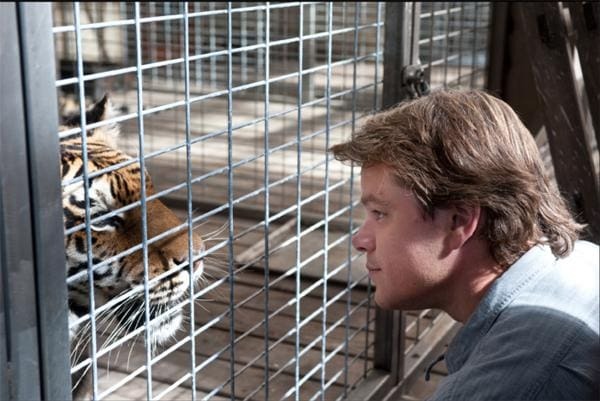 The movie details their attempt to bring the zoo back functioning. Along the way, relationships are formed, mended and worked on. I have to tell you that halfway through the movie, half of the bloggers in attendance with sniffling. It was so touching and heartfelt. Its was unsuspectingly moving and spoke so eloquently about the father’s struggle to juggle single parenthood while grieving for his wife. Never did I feel sorry for him but rather wanted him to succeed and deal with his feelings, which he eventually learns to. Every actor gave a stellar performance and so much is conveyed in the dialogue. This movie is fun enough for kids to love but also meaningly and of enough substance for adults to also enjoy. It also resonates with all ages. Kids can relate to the youngest daughter’s joy at the prospect of living in a zoo and hanging out with the animals. Teens will be able to identify with that teen angst and struggle to accurately communicate feelings, that is so common at that age. Adults and parents will most certainly identify with the father’s parenting struggles, as well as that complicated relationship with romantic love. This movie is a definite must-see! For more information, check out the official site at www.boughtazoo.com. The movie was based on the true story and book of Benjamin Mee. Stay tuned in the next coming weeks for our chat with screenwriter, Aline Brosh McKenna, to find out what she loved about doing this movie. I’ll even clue you in to which parts of the movie are true to the book and which were changed for the movie and why. 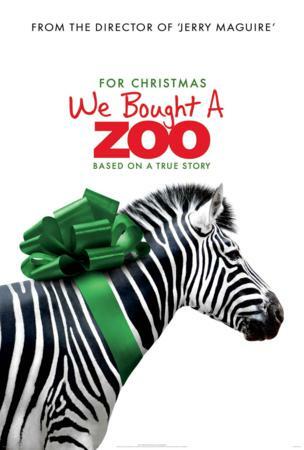 “We Bought A Zoo” hits theatres December 23rd. I really want to see this movie, my son is 10 and I think we would both enjoy this very much. Plus it’s Matt Damon, so I know I’ll like it. would love to see this movie with the grandkids!! !